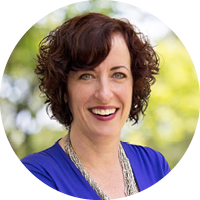 Diane’s more than 20 years of experience as a clinical psychologist have given her a keen insight into human behavior, relationships, and leadership styles. This expertise translates into the ability to quickly and accurately assess and understand the needs of executives as well as the interplay of relationships within a team. She uses coaching skills to help organizations identify problems, resolve conflicts, improve relationships, and make realistic plans to achieve desired goals. Diane partners with clients to clarify their needs and objectives and ensure that the strategies and processes that they have in place align with what is most important to them. Diane is action-oriented and approaches even daunting tasks with warmth, optimism, high energy, and humor. Within a context of empathy and understanding, she challenges individuals to be accountable both to themselves and to their teams. She believes that everyone has more resources than they are aware of and the capability to be challenged beyond what they perceive their limits to be.